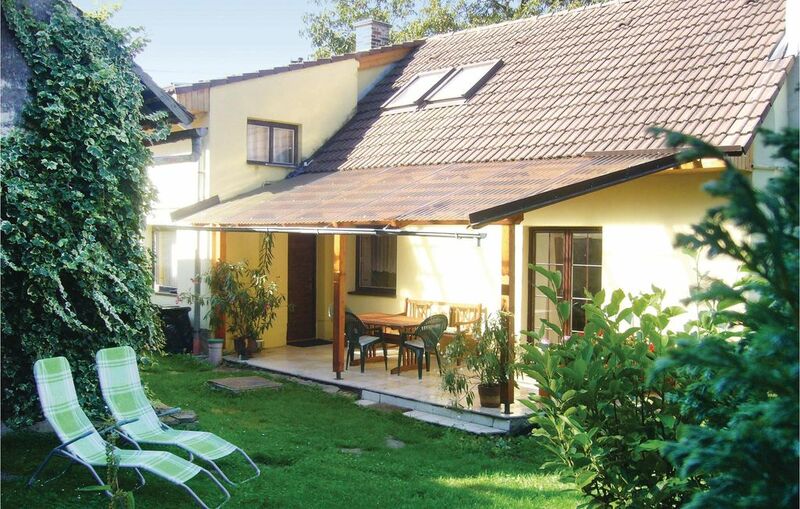 This beautiful holiday house in Podhořany u Ronova is situated about 12 km away from the town of Čáslav and about 30 km from Pardubice, at the foot of the Iron Mountains. The house stands on a fenced plot. From the living room you have direct access to the covered terrace, where you have all the space for breakfast and barbecues. The surrounding region offers many castles, eg. Žleby and Slatiňany, the historic town of Kutna Hora with the St. Barbora Cathedral (45 km) and the Puppet Museum in Chrudim. Experience also the reservoir Seš (about 15 km).